Seasoned and accomplished designer with a flair for design and 12 years of drafting experience including a solid background in: AutoCAD, 2D and 3D modeling, Rendering, Schematic Drawing, Mechanical Detailing, Site Plans, Layouts and Mapping. Versatile and experienced drafting in a variety of industries including: Utility (Electrical Distribution and Substation Design), Mechanical, Civil, and Electrical Engineering, Interior Design, Construction (Residential and Commercial), and Manufacturing. Solid management skills with a consistent and proven track record of initiating designs, meeting deadlines and completing projects to specification. Specializing in Conceptual Design,Architectural Drafting,Landscape Design, Renovation Design, Industrial Design, Interior Design and Mechanical Design. Serve as lead designer and manage the complete lifecycle of all design projects. Provide clients with creative insight and design solutions for prototype inventions, furniture and product illustration, landscaping projects, urban planning, new building projects, renovations including additions, and furniture layouts for home staging. Providing initial inspection and measurement of sites for renovation and new building projects. Developing a full set of constructions plan including elevations, floor and site plan, electrical, HVAC, and plumbing drawings. Designing full system, fabrication component and assembly drawings for manufacturing purposes. Creating redline mark up drafts, rough sketches or detail illustrations. Acquired experience in all aspects ofutility/electrical distribution at Georgia Power Data and Facilities Management Center. 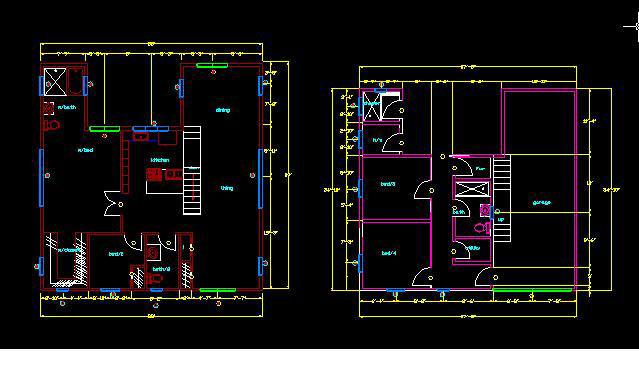 Revised electrical distribution drawings in compliance with engineering specifications using Microstation, G.I.S. 9.1, ArcFM, PLS-CADD, and AutoCAD technology. Responsible for mapping all physical components (circuits, substations, transformers, capacitors, switch, etc..) of Georgia Power's distribution. Translated field survey data into power distribution maps for the Data Management Center. Validated and updated distribution equipment, substations and circuit map diagrammatic maps. Posted primary and secondary jobs according to job specifications, updating the GIS database oneline drawings. Imported AutoCAD and Microstation files in to Georgia power's GIS system and database. Collaborated on special projects with regional managers and technicians. Perform quality control on all completed sessions before submitting to post in GIS. Print and distribute SERP maps to regions during storms and emergencies. Digitize or import landbase changes, background information and additions.